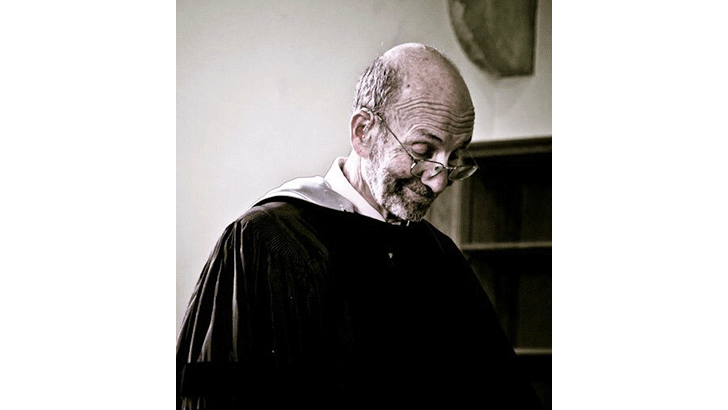 Kalman P. Bland (1942–2017), a longtime member of the American Academy of Religion, was professor emeritus of religious studies at Duke University, amateur violist, conversationalist extraordinaire, and embodiment of the Platonic ideal of thoughtfulness. Kalman received his BA in philosophy from Columbia University, his PhD in medieval Islamic and Jewish philosophy from Brandeis University, and his rabbinic ordination from the Jewish Theological Seminary in New York City. He began teaching at Indiana University before relocating to Durham, North Carolina, to take up a position at Duke, where he served on the faculty for 38 years. He was an award-winning undergraduate teacher and an important member of the graduate program. My partner and I moved from Chicago, IL, to Portland, OR, more than 1000 miles away from our families for a one-class-per-semester adjunct teaching gig when I was nearly seven months pregnant. Please, hold your applause. Yes, we are obviously geniuses. 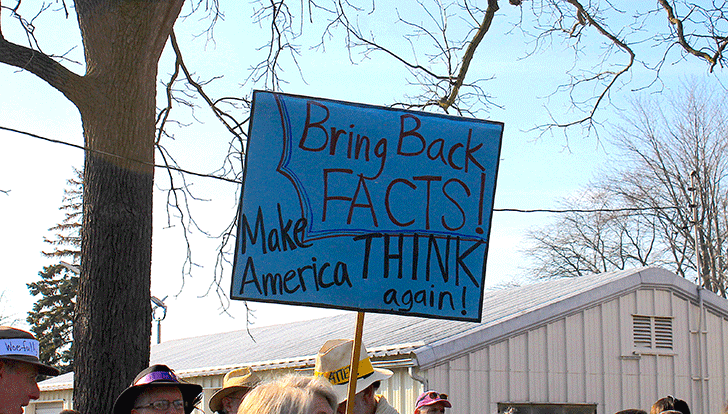 The impact of the 2016 election of Donald J. Trump as 45th President of the United States reverberated across campuses all over the country, affecting students and their professors in religious studies classrooms in myriad ways. In the immediate aftermath of the election, teachers faced emotionally charged classrooms, replete with students who were weeping and despondent, terrified and stunned, elated and vindicated, and the full-range between. Walking into the classroom bleary-eyed the morning after the election raised immediate pedagogical questions for those of us standing in front of students in the throes of processing the results. 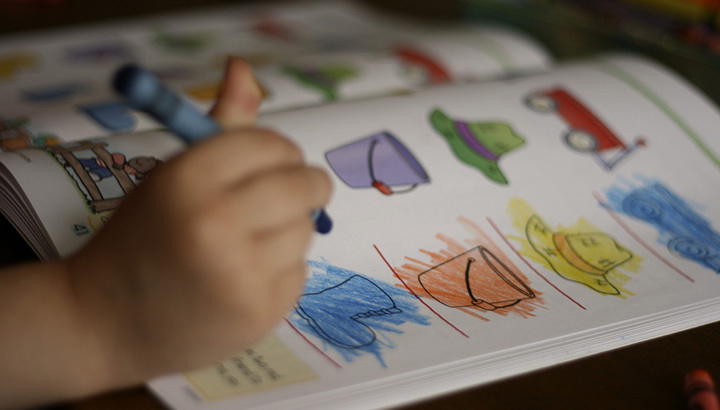 Should we initiate a discussion about students’ reactions or avoid addressing it head-on given the emotional intensity of the moment? Should we stick tightly to the scheduled topic of the day, or veer off the syllabus to consider what was, to many, a shocking election outcome? Should we maintain a neutral stance in the classroom, giving all students’ voices a chance to be heard while maintaining our own objectivity? Or was that even possible, let alone morally conscionable, in the face of rhetoric (not to mention the specter of impending legislation) that left some students and their families endangered? Bhrigupati Singh, assistant professor of anthropology at Brown University, speaks about how his examination of the Sahariyas, a tribe living in extreme poverty in Northwest India, stretches and blurs the boundaries of religion and secularity in studying how the tribespeople reflect on questions of ethics, happiness, and quality of life. His work encourages scholars of religion—particularly those engaging with nonwestern traditions—to develop a comparative vocabulary that goes beyond Eurocentrism and Postcolonialism alike. 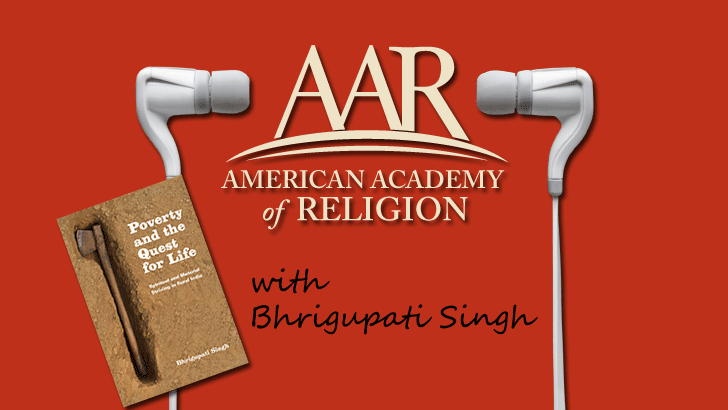 Singh is the author of Poverty and the Quest for Life: Spiritual and Material Striving in Rural India (University of Chicago Press, 2016), which won the AAR's 2016 Book Award for Excellence in the Study of Religion in the category of analytical-descriptive studies. Drawing from Max Weber’s distinction in The Sociology of Religion between the prophet and the priest, this short article explores how Trump’s application of American civil religion (a public faith that inculcates political values) operates to routinize a discourse and politics governed by intolerance. Addressing a dire need to resuscitate what he views as a decrepit American project resulting from decades of progressive agendas, Trump assumes a dual position as savior of a sullied America (exemplified in his emphasis on building a barrier—physical and rhetorical—to protect American interests, and repeated promises to return jobs to America) and enforcer of traditional values (demonstrated in his defense budget or “America First” maxim). Yet the shift from Trump’s candidacy, where he functioned as the charismatic prophet, to his presidency, where he assumes the position of status quo priest, illustrates the incongruity of these dual roles, highlighting the ability for Trump to offer an outsider’s vision to save the American project while failing to account for the structural and routine constraints that temper such an agenda (the courts, Congress, media, and citizen protests have all hampered Trump’s agenda). Such incongruity not only helps explain the challenges Trump and America faces, but also more significantly, unveils how Trump, in the name of his prophetic vision, subverts traditional ideals when it comes to American civil religion and the place of pluralism. In other words, Trump’s shift from candidate to president allows us to trace the means by which prophetic promises, in order to find priestly delivery, often necessitate a return the status quo modeled through marginalization. 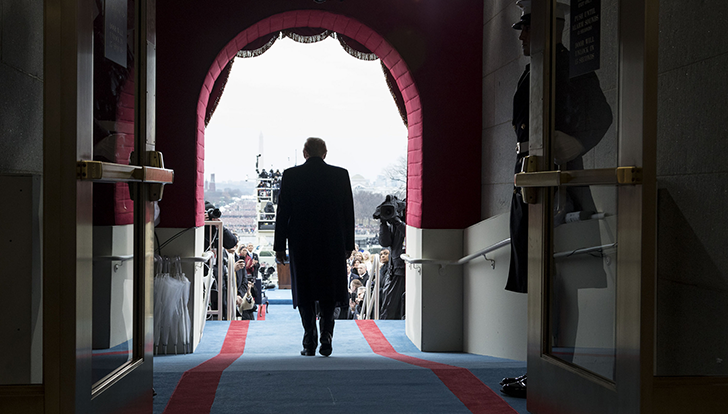 Trump’s role as prophet thus reintroduces—in order to legitimate—a historic trend within America that predicates the inclusivity of civil religion through practices of exclusion.1 That is, in turning to the sacred symbols of the United States, Trump returns to an exceptionalist construction of civil religion: a project established through God’s will, expressed through division, and delineated by a characteristic American identity—white and Christian. 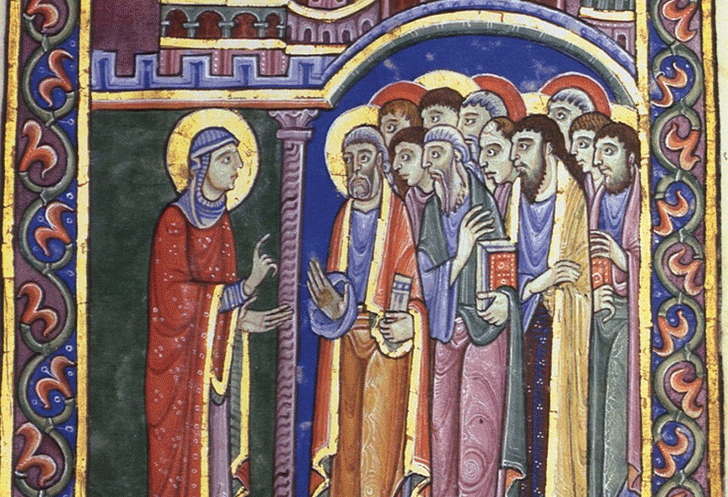 The articles that form this issue of Spotlight on Theological Education emerged out of the work of Theological Education Between the Times, a project funded by a grant from the Lilly Endowment to the Candler School of Theology. This project seeks to renew and resource conversations on the purposes of theological education in a season of profound change. The empirical origins of this project are the kinds of dramatic shifts that most of us committed to the work of theological education can easily narrate even as the degree to which each of us feels those shifts on a day-to-day basis varies widely with our institutional contexts. The changes are substantial. In the Zoroastrian Empire of Iran during late antiquity, what were the limits of Christian identity? Richard E. Payne, Neubauer Family Assistant Professor of Ancient Near Eastern History at the University of Chicago, explains how Christians were able to navigate the Iranian political world and how their identity as Christians did not necessarily preclude political participation in a thoroughly Zoroastrian empire. 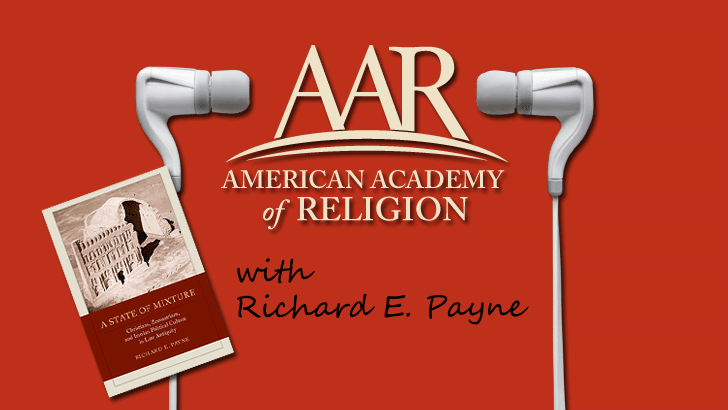 Payne is the author of "A State of Mixture: Christians, Zoroastrians, and Iranian Political Culture in Late Antiquity" (University of California Press, 2015), which won the AAR's 2016 Book Award for Excellence in the Study of Religion in the category of historical studies. 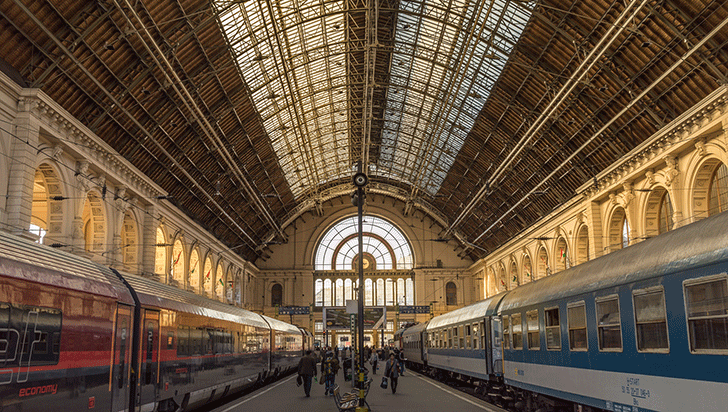 Francis J. Beckwith, professor of philosophy & church-state studies at Baylor University, discusses how we form complex beliefs and if the difference between the process of developing so-called religious beliefs and secular beliefs might be smaller than we think. 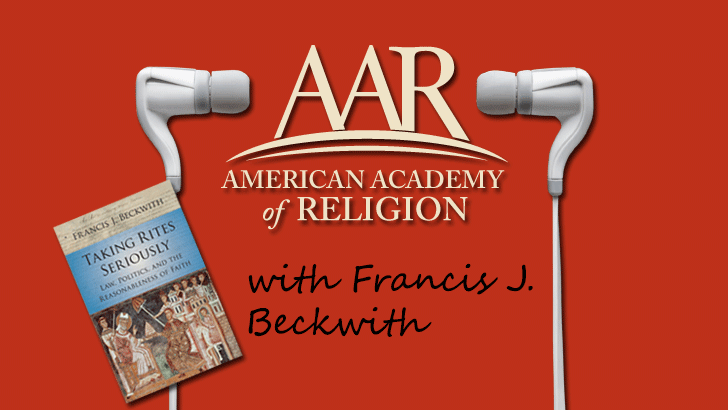 Beckwith is the author of "Taking Rites Seriously: Law, Politics, and the Reasonableness of Faith" (Cambridge University Press, 2015). The book won the American Academy of Religion's 2016 Award for Excellence in the Study of Religion in the category of constructive-reflective studies.